The 僧/そう pun is impossible to translate. Shouldn't we have a note explaining it, rather than what there is currently? How is Cirno's stupidity a spoiler.... everyone knows she's stupid... possibly not this stupid, but still... and anyone that's played the games would get the joke. Iegga was referring to the fact that your post spoils the punchline of the comic, not that Cirno's stupid. Ah! The time has come! In Touhou 12.8 we will all be immortal! Cirno forgot her hitbox and it's time to profit! 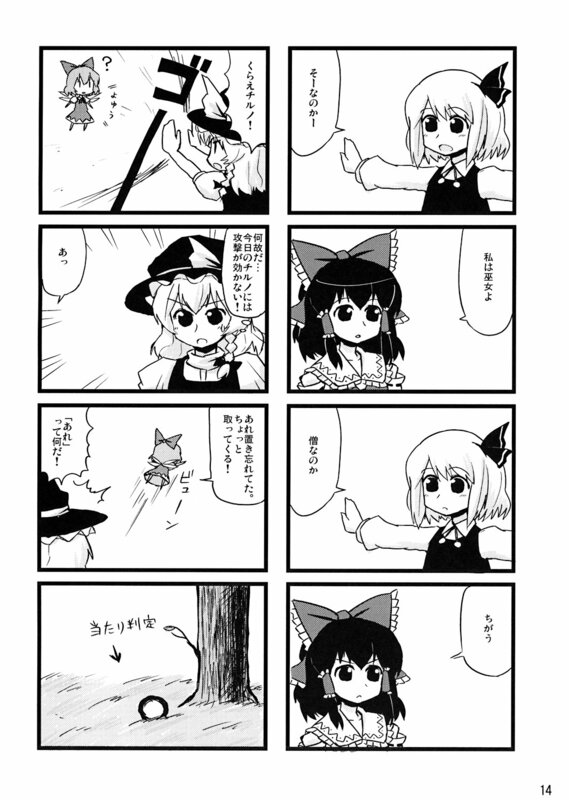 Why... Today my attacks aren't working against Cirno! Like a priestess? Sou nano ka? I forgot that, let me go pick it up!